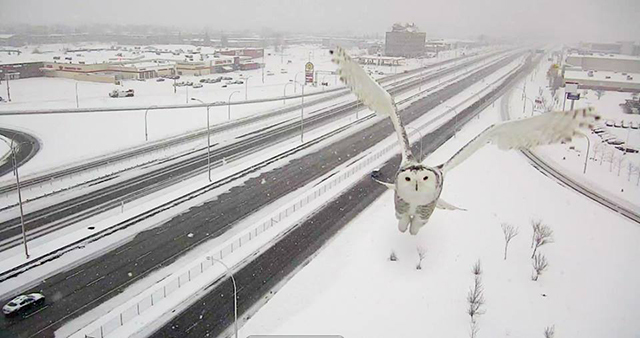 Stunning images of a snowy owl in flight have been captured by a traffic camera in Canada, sending social media into a frenzy. 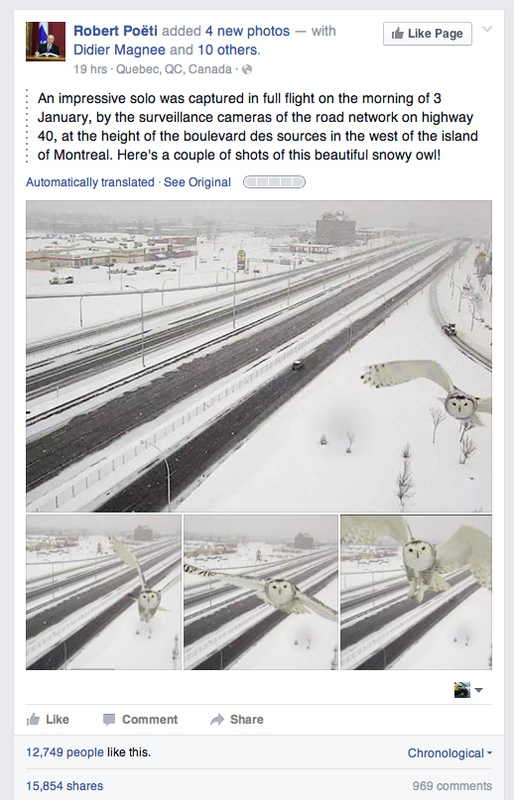 The images – showing the owl staring directly at the camera’s lens – were posted on social media by Quebec transport minister Robert Poëti. 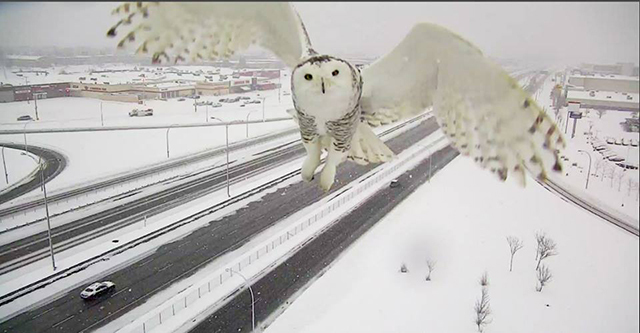 At the time of writing, Poëti’s Facebook post had been shared nearly 16,000 times – garnering almost 13,000 likes and more than 950 comments. And a separate posting on Twitter has been retweeted over 1,500 times.